Learning to automatically recall times tables is easy for some children, but a real challenge for many. Providing lots of opportunities for practise is an important step in helping the latter group achieve mastery. And like all learning, making this revision interesting and hands-on is important for motivation. 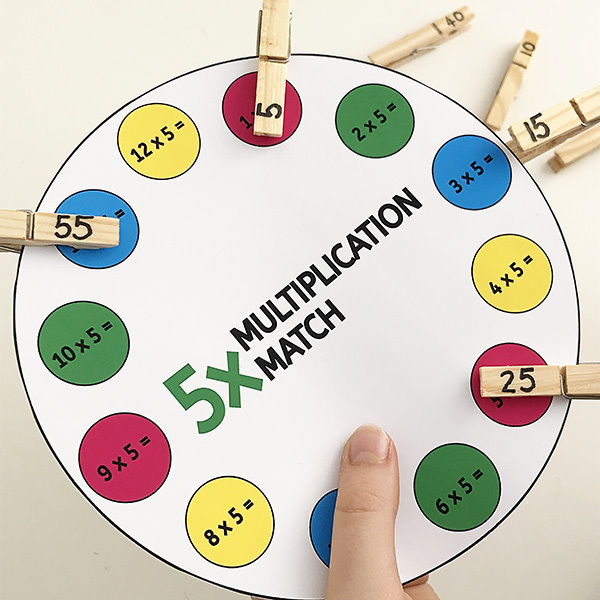 Like our times table bingo and multiplication games printables, this times table game is a great learning resource – simple to make and handy for revision at home or school. 1. 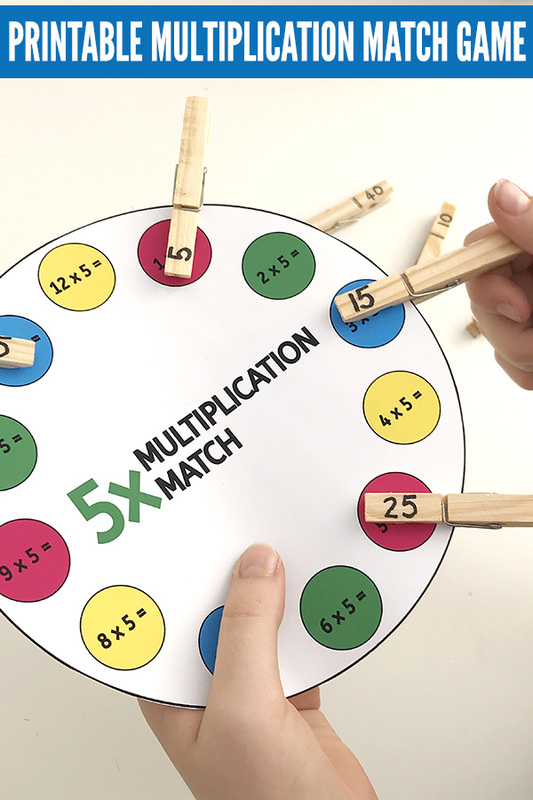 Print your multiplication match wheels (instructions below). 2. Cut out each wheel. 3. Laminate and cut around the wheel again. 3. Write one answer to each multiplication problem on the end of a clothes peg/pin with marker pen. 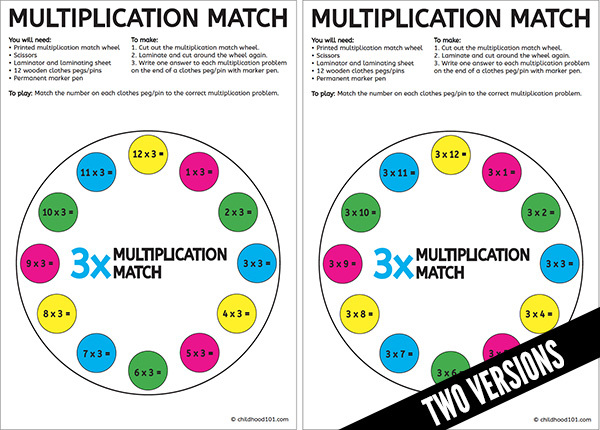 The peg match times table game pack includes two versions of the matching boards. For example, for the three times tables you’ll find dials for both formats – 12×3= and 3×12=. 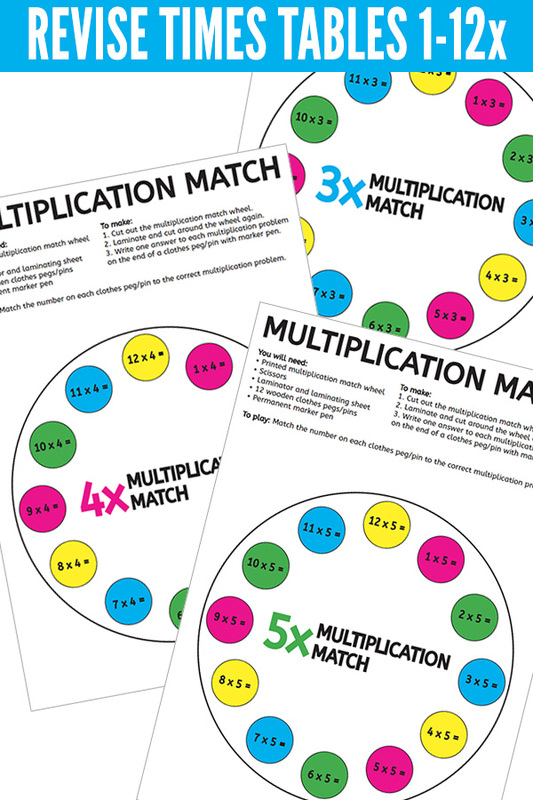 The Multiplication Peg Match File is available as an instant digital download. Click here to purchase and download now for $2.50USD. Printing tips: Download or save the PDF to your own computer. Open the PDF and print the page you require. When printing, select “Fit to printable area” (or similar) to ensure the page fits with your printer type and local paper size (these have been created at A4 size). I suggest printing onto card stock or matte photo paper. Laminate the printed cards for durability.